Conscious Change Leadership empowers leaders to see their mindsets in action, develops them “vertically” so they expand their perspectives to solve more complex challenges, instills the people skills of co-creating so they become competent transformational leaders, and equips them with the change leadership methodology to navigate your organization’s transformation to Achieve Breakthrough. We develop leaders who are awake, self-aware, and able to see their mindsets in action, so they can take perspectives beyond the comfort and limitations of “how they currently do things.” We engage them on a “vertical development” path of self-mastery – with their team – which instantly improves trust and collaboration, increases their modeling of your desired culture, and generates a new ability to co-create to solve your organization’s biggest transformational challenges. We teach your leaders what it takes to lead organization and culture transformation – how to set change up for success, govern it to solve capacity challenges, design it so it engages stakeholders, and implement it so it builds the commitment that ensures full adoption and sustainment of results. 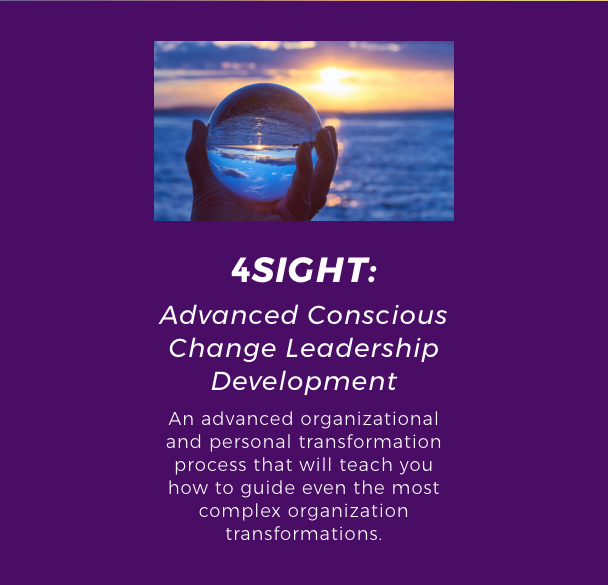 We provide The Change Leader’s Roadmap – an online strategic change navigation system based on forty years of best practices – that ensures all your change efforts are designed so they land successfully. We show your leaders how to lead “co-creatively,” beyond the limitations of command and control. With improved communications, honesty and listening, combined with competent coaching, open-mindedness and perspective taking, they engage your workforce for better solutions and adoption of change. They generate a culture of accountability, mutual support, and trust, where your people are committed to enterprise success above personal agendas, and work together across boundaries in service to customers and your organization’s transformation.